We offer a unique Bespoke service to create a building exactly as you require. Whether that is extra high for a tall vehicle, an unusual shape to fit your surroundings, or perhaps an alternative finish to match your property. These garages can be made to any desired height. Ideal for larger vehicles such as camper vans, work vans and mini buses. 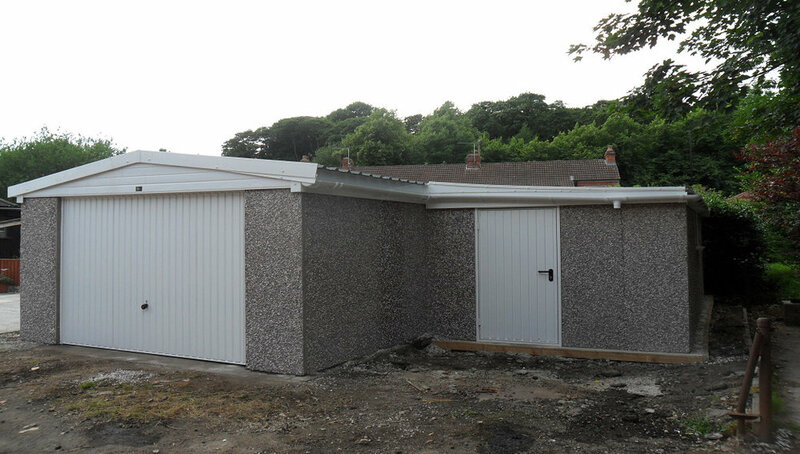 This building was created for a customer wanting an L shaped building that combined a Garage and a Shed into one. These brick front posts were colour matched to the owners house. The sides and the back of this garage were built with a brown spa finish. 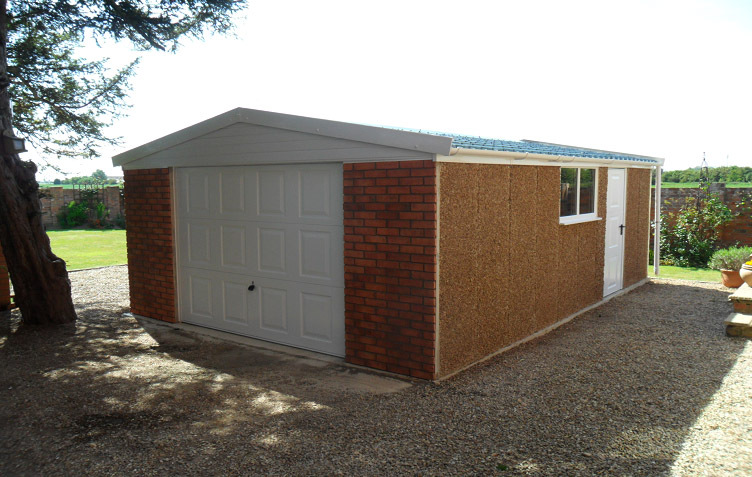 This garage was built with a red brick effect finish. This service does require a 1 metre access around the building, but is available in a selection of colours. 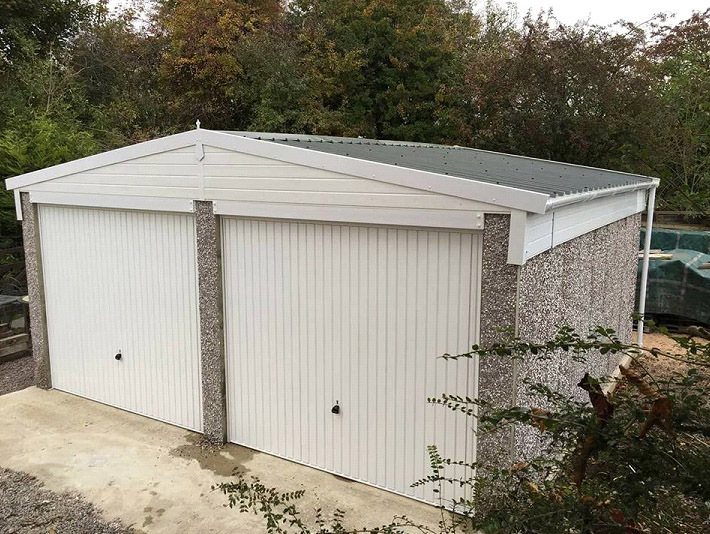 This garage has a retractable up and over garage door at both the front and the back so that a vehicle can be driven all the way through. These lean to style garages work well when width is limited to build a standalone garage.